This was another library find that I picked up purely from hearing good reviews about it online and, although I wasn't really expecting much, I was surprised by it! I found it really engaging and it's definitely the type of book that is easy to lose yourself in. I've been struggling a bit recently with finding the motivation to read more than about a chapter without getting bored but I sat and read about 200 pages of this when I woke up today because I couldn't put it down. The book starts when Tana, the protagonist, wakes up the morning after a party to find herself in a bathtub still in the house of the party. She wanders through the rest of the house expecting to find her friends awake and cooking breakfast but instead finds everyone who had been at the party dead, other than her ex-boyfriend who has been chained up in the same room as a vampire. She very quickly finds out that her ex-boyfriend was bitten by a vampire and when trying to escape, Tana comes very close to being bitten too. So close that she's not sure if the infection has been passed on to her. The story then follows Tana, Aiden (her ex-boyfriend) and Gavriel (the vampire who had been chained up) as they head towards the Coldtown, a quarantine to keep the vampires from infecting humans and what happens once they are inside. I thought this book was brilliant. It was fantasy that has been written in a way that makes you almost believe it's not. I'd definitely recommend this to anyone in search of a good YA read with believable characters and a strong plot that is not centered around romance. There is some romance in this book but it definitely takes a back seat for the majority of the book. 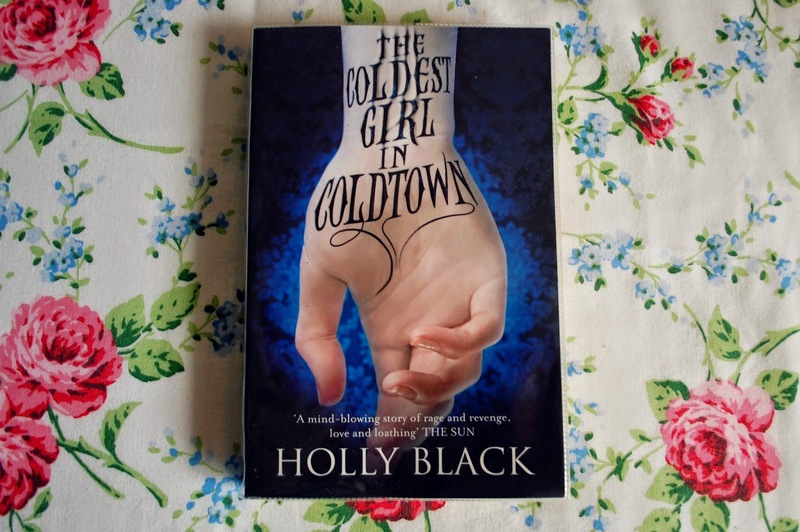 Have you read The Coldest Girl In Coldtown? What did you think of it?